There are two things about a visit here that are immediately worthy of note. First is that pronouncing it in the way of the Italian city is not only about right, but it’s actually quite possible that’s where the name comes from – presumably a homesick Italian with poor eyesight given that similarities between the two are not exactly obvious. But the second thing is the ‎more important, and may well come as a surprise to the uninitiated. Myanmar is generally thought of as a place to tour, the sights to be seen, the excursions to be experienced. And so it is too, the musings of the last week have shown that quite clearly. And yet the traditional beach holiday is not only possible here, the beach itself is as marvellous as you could hope to find anywhere. There’s always been an desire for finding a beach holiday in a far flung land, that is quiet, but with sufficient facilities to ensure that it can be enjoyed properly. That was the case 40 years ago with the rise of the Spanish Costas as much as it was 20 years ago when the beaches of Thailand held sufficient allure for huge numbers of tourists to descend on them. In both cases they are now established holiday destinations with the infrastructure expected of such volumes fully in place. Of course, that can be both good and bad, with the increasing numbers comes development, ‎and that’s not always either in keeping with a destination and can at worst specifically damage it, both environmentally and even in terms of wrecking what made it an attractive destination in the first place (hello Dubai). 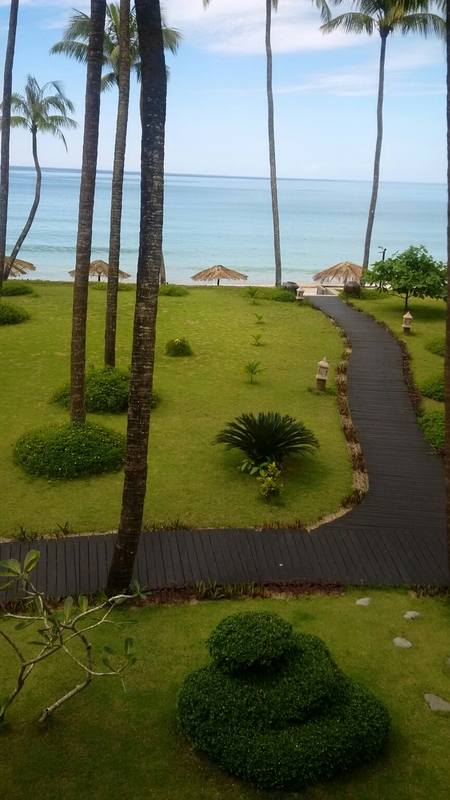 In the case of Ngapali, it is in that sweet spot where there are sufficient hotels and restaurants of good quality to make it a deeply attractive destination ‎when added to the gorgeous beach, warm and calm sea and delightful people, without over-development rearing its ugly head. If you want nightclubs and drinking till 4am, this really isn’t the place to come to. Whether that remains the case in the next decade or two is something unknown, so it’s perhaps advisable to come sooner rather than later while it is as magical as it is at present. Certainly those who visited Thailand’s islands and beaches 10 or more years ago will fully recognise the kind of destination this is, a mix of tourism based on independent small restaurants mixed in with local life where you can see the fisherman just off the beach collecting their catch for your meal that evening. Accommodation is of a good standard, yet inexpensive, and meals and drinks are downright cheap, while the people have that unaffected air of friendliness that mass tourism has yet to breach. Indeed, it is so delightful, so quiet yet joyous, that a part of me was reluctant to write as much for fear of those reading this descending on the place en masse and changing it for the worse. A beach holiday in Myanmar is one that few have considered, the more established destinations having a profile infinitely higher to the point many won’t even be aware it’s a possibility. Yet whether coming here purely for the sun, sea and sand, or as a means of finishing off a trip to the country for some R & R following sightseeing and experiential travel, Ngapali is a place people will fall in love with. Just don’t tell anyone else, OK?